We love a good DIY style project. 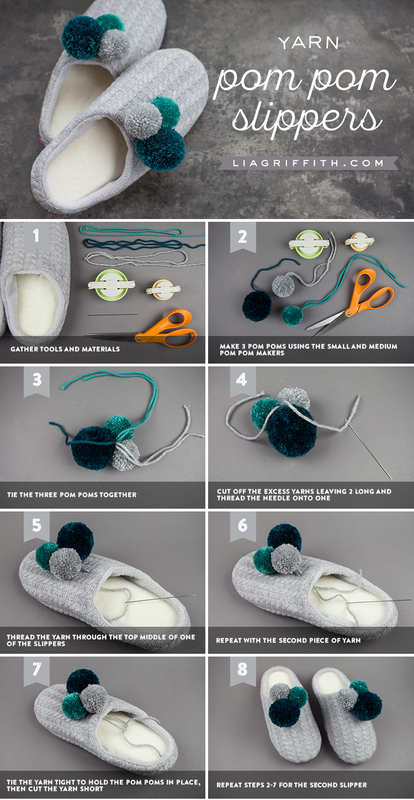 These cute DIY pom pom slippers are a fun project to make as a gift or just as a little treat to yourself. 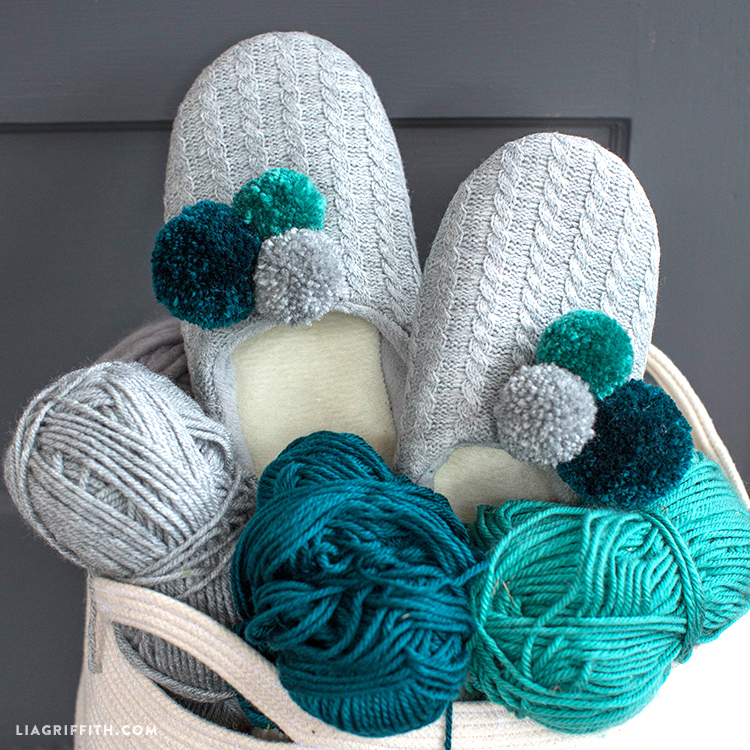 We used Knit Picks yarn in Tidepool, Hunter, and Dove Heather, with a pair of simple gray slippers, but get creative and come up with a color palette of your own design! 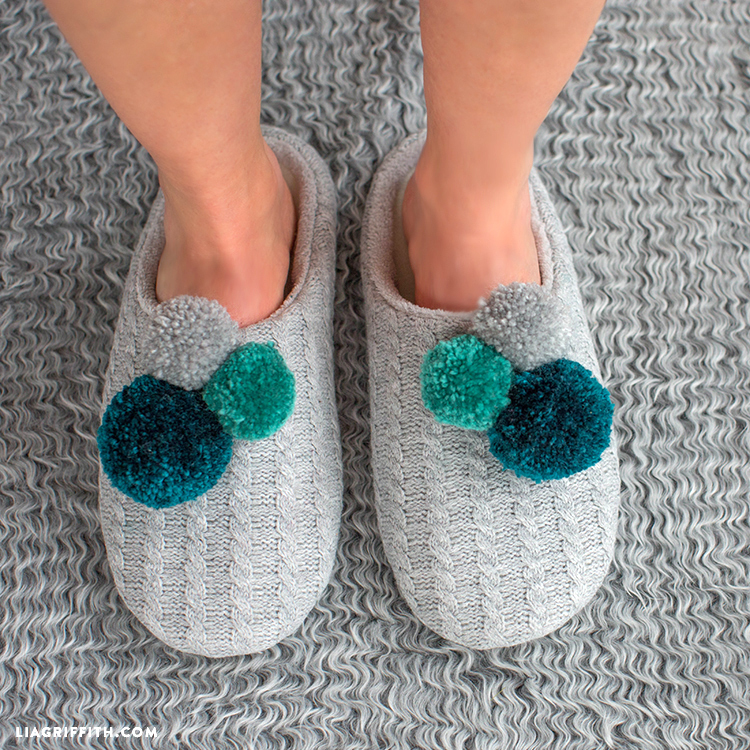 If you’re new to pom poms, we have a helpful video tutorial for another beloved pom pom project to guide you in the crafting process. A helpful tip to remember is that using thinner, acrylic-based, often less expensive yarn works best for pom poms. 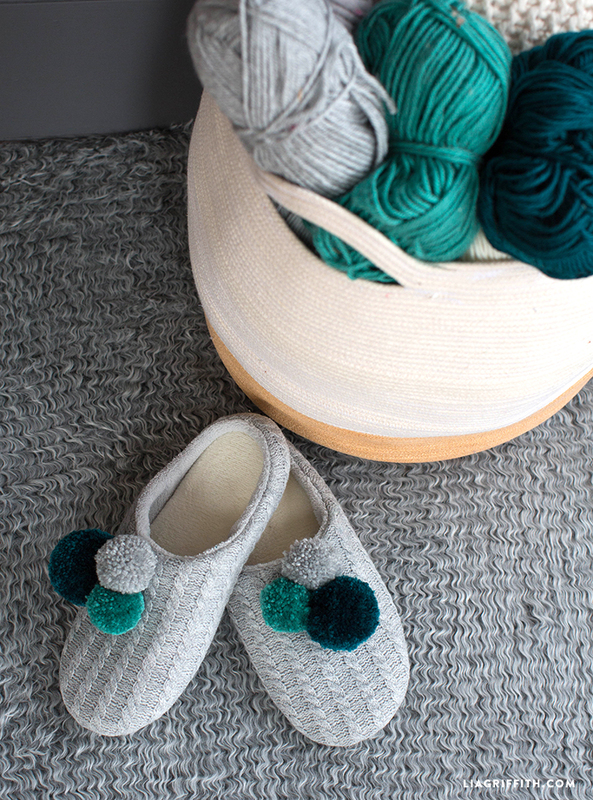 If you enjoy making these slippers, let your pom pom passion run wild and browse even more project inspiration here! Make three pom poms using the small and medium pom pom makers. Tie the three pom poms together. Cut off any excess yarns leaving two long and thread the needle onto one. Thread the yarn through the top middle of one of the slippers. Repeat with the second piece of yarn. Tie the yarn tight to hold the pom poms in place, then cut off the extra yarn. Repeat steps 2-7 for the second slipper.